Light + Love : Take a Picture of a Dream. Take a Picture of a Dream. 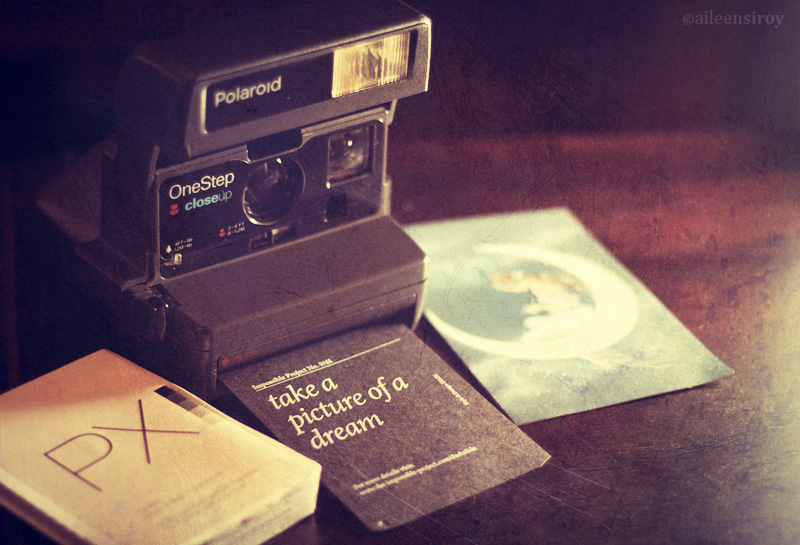 Take a picture of a dream. It was a pleasant surprise to read these words on the cover of the pola sheets. I was instantly inspired. This is one of those long overdue stories. I've been wanting to blog about this because I forever want to remember how happy I felt that day Ana handed the polaroid sheets Chelo sent me. Chelo also attached a very pretty card with the sheets and filled it with thoughts, in part she said: "I chose this card because it reminds me of you. I imagine you to be this mystical nymph perched on a half-moon during nights you're weaving magic like you do." This made my heart swell. Today, my polaroid got a sibling. It was delivered by Doc Joy (who I had grand time with at the Sunday Market but that's for another blog entry) -- a One-Step Close Up. I loaded the sheets to this camera today and reminded myself to take a picture of a dream. Dreams, moons, fairies. 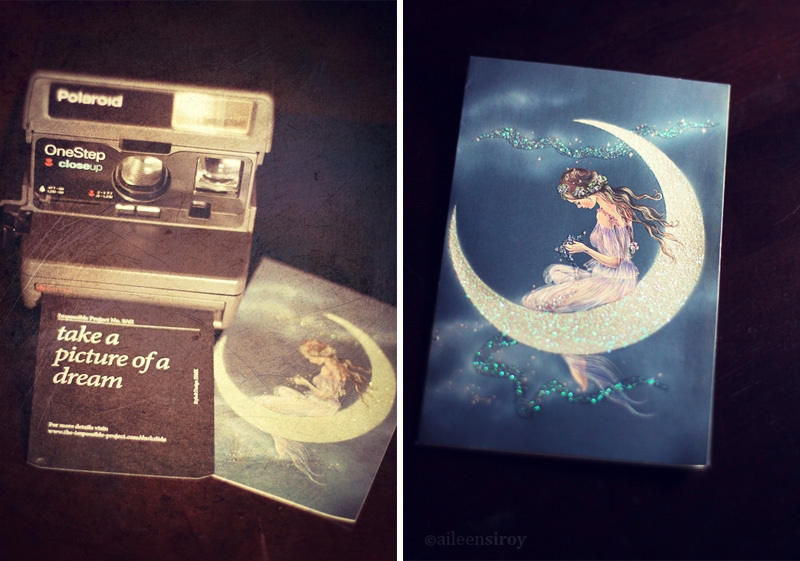 I can already imagine the dreamy, vintage-y effect of these pola sheets. I can't help but take another shot. I am learning how to use artificial light. Then I added my current favorite texture. It's exciting to learn new things. And maybe, one day, I'd learn how to capture dreams. i love how you took photos of them:-) yes,do photograph a dream, no one else could do that better except you..
i know you can do it Ai, follow those dreams... (i guess it's another learning curve to get used to unnatural lighting but i am pretty sure you'll get towork your magic). "Take a picture of a dream"... that's beautiful. When I was little, I had wanted a Polaroid. I had always thought of how nice it would be to take photos and you'd see them right away. Well, I never got it.